Located on the beautiful banks of the Snowy River, this attractively presented 3 bedroom home will impress. Inside the decor is lovely and modern with Blackbutt timber floors and neutral tones throughout. Set on a 1619sqm block opposite the Snowy River Reserve, offering beautiful views of the Snowy River, the property has town water, a 2-car garage with automatic roller door. 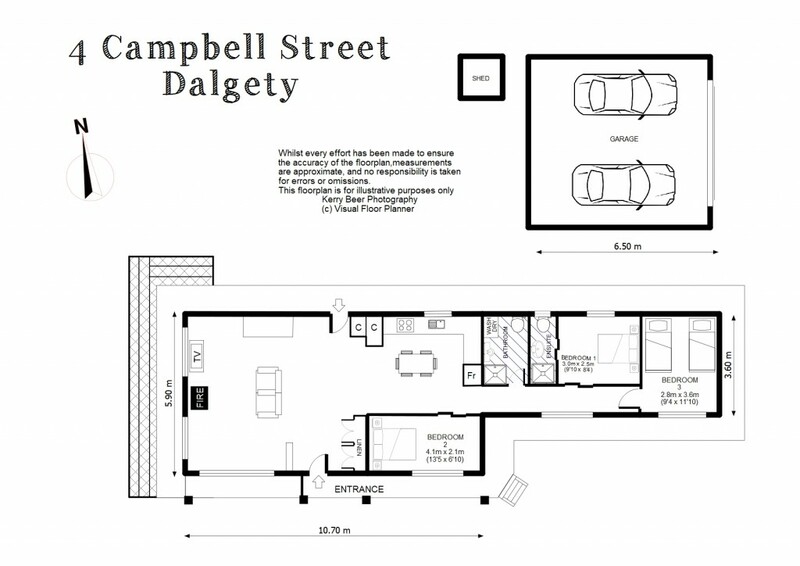 Dalgety in the Snowy Mountains is 1.5 hours drive to Canberra and the South Coast and 45 minutes to the NSW ski fields. With skiing, hiking, mountain biking, equestrian, and all forms of water sports at your doorstep, you can own your lifestyle. For more information or to book an appointment to view the property, please call Patrick on 0411 1136 645.